An international study of the genetics of 300,000 people suggests that exercise does help prevent depression, confirming what many scientists suspected to be true. Previous work had found a link between lack of exercise and depression, but none were able to show that exercising can actually cause a reduced risk of depression - it was equally possible that being depressed simply led people to exercise less. However, this new work may show a causal link between exercising and avoiding depression, and also shows that the opposite is not true - being depressed does not cause people to exercise less. Australian researchers contributed data to the project through the Major Disorders Working Group of the Psychiatric Genomics Consortium. Funder: NIMH, Tepper Family Massachusetts General Hospital Research Scholar funding and the Demarest Lloyd Jr Foundation. Dr. Joseph Firth is a Senior Research Fellow at NICM Health Research Institute, Western Sydney University. The research combines data from the world's most impressive data-resources to produce novel and strong findings around the relationship between exercise and depression. The new research provides the strongest evidence to date for using exercise as a potential strategy to reduce the risk of depression, across the population. We know depression is a leading cause of disability around the world, but we know much less about how to prevent this debilitating condition. We wanted to harness the advances of large-scale genomic studies to validate a promising prevention target for depression. We focused on physical activity because it is actionable, and previous studies have shown it is associated with decreased risk for depression, though no one has really answered the question of whether this relationship is causal. In a Mendelian randomization design, we treat genetic variation between people as a kind of natural experiment. Our findings support the idea that physical activity has a causal role in reducing risk for depression. We see this study as fitting into a larger puzzle that is looking highly promising for the role of physical activity in mental health. Although Mendelian randomization is not without its own limitations, it can be used to answer familiar questions using a very different approach from what has been done before. Our study adds a new layer of evidence that not only aligns with previous research, but also makes a unique case that physical activity can make a difference for depression. There is strong evidence that depression is linked to physical activity but what comes first – the depression or the sedentary lifestyle? And is this link actually due to some other factor which might be associated with both depression and exercise, for example BMI? Answering these types of questions are important to develop good, evidence-based clinical care. This study used an analysis technique called ‘Mendelian Randomisation’ to examine the relationship between exercise and depression, and the authors reported ‘independent support for potentially protective relationships between physical activity and depression risk.’ Mendelian Randomisation is currently a very popular method to investigate the relationships between potentially modifiable risk factors (like exercise) and health outcomes, using genetic variants as a kind of ‘natural experiment’. While this technique can provide helpful insights into the nature of these relationships, like many methods, it depends on specific assumptions and is not immune to error or bias. I believe that this study represents an important step forward in understanding which modifiable lifestyle factors are likely to be worth focusing on in the prevention and treatment of depression. I would caution though that this work should be seen as a piece of the jigsaw, and we should interpret findings from Mendelian Randomisation studies in the context of other sources of evidence. The article in JAMA Psychiatry by Choi et al tests, in a large analysis of 300,000 Europeans, the relationship between physical activity and depression. As it is difficult to separate what causes what, they use a statistical method called Mendelian Randomisation which uses 10 known genetic variants previously identified to increase physical activity, to test whether people with these identified gene variants get less depression associated with this higher activity. Objectively measured exercise (but NOT self-estimated activity) showed a significant effect on lessening depression. Genes shown to be related to depression, however, did not have an influence on either self-reported or accurately measured activity. The findings were consistent with previous observational reports of lower depression in those who were active. However, objectively measured activity is a more 'heritable' trait than self-reported activity and it may be more easily picked up by the Mendelian Randomisation analysis and some question remains as to the accuracy of self-reported activity. Professor Ian Hickie AM is the Co-Director, Health and Policy of the University of Sydney's Brain and Mind Centre. He is member of the Major Disorders Working Group of the Psychiatric Genomics Consortium which contributed data to the project. This is a very large and important study that shows the clear link between objectively measured physical activity (exercise) and depression. This is a two-way relationship: you exercise to prevent depression, and you exercise to treat depression. There are a lot of underlying mechanisms to why this might happen, including the regulation of your body clock, your hormonal cycle, metabolic system and mood. But your body and mind are not two separate things: the brain responds to what the body is doing. ‘Objectively measured’ data is important, because we all say we do more physical activity, but we actually do less. We all believe we do much more than we do. Get a device, and find out how much you actually do. And don’t kid yourself: the watch doesn’t lie. When you’re feeling fatigued or depressed, the last thing in the world you think that will help is physical activity. We have shown in a separate JAMA Psychiatry paper that energy and activity drives mood, and not the other way around. So despite the fact you feel fatigued, tired or jetlagged, if you’re physically active, you’ll improve your mood. And sometimes you’ll need other people to help you – go with a friend or family member. We need to help each other to do these things because our modern lifestyles, modern transport don’t really help. We need better systems: public transport, education and devices to show we’re not being active enough. We’ve talked about being fat and diabetes, but the exercise effect is not just about weight loss – It’s about feeling well and well-being. We don’t talk about mental well-being nearly enough. If you want to have a great quality of life, it's about your mental health. It is well established that regular physical activity can help prevent and manage mild anxiety and depression. However, Choi and colleagues reported that physical activity can prevent major depressive disorder - a more severe form of depression. This study showed that people who are diagnosed with depression are undertaking similar levels of physical activity to people without depression. Physical activity can prevent depression. Being diagnosed with depression does not necessarily change physical activity levels. Choi and colleagues reported that often genes that predispose people to doing more physical activity, none singularly changed the findings. Therefore, people can reduce their risk of depression regardless of their genetic predisposition to doing physical activity. Being predisposed to doing physical activity does not necessarily further lower your risk of depression. The findings were not replicated when people self-reported their physical activity. People may not be good at adequately reporting their true levels of physical activity. Health professionals may need to ask patients to monitor their physical activity through an objective tool, such as a Fitbit, to adequately assess their physical activity. The World Health Organisation recommends that adults undertake a minimum of 150 minutes of moderate-intensity aerobic physical activity per week in bouts of at least 10 minutes. To meet World Health Organisation physical activity guidelines, people can walk fast for 22 minutes per day - possibly 11 minutes in the morning and 11 minutes in the afternoon. People would need to do substantially more than the World Health Organisation physical activity recommendations to reduce their risk of depression. Instead of 21 minutes of fast walking, more than one hour would be required to substantially reduce the risk of depression. 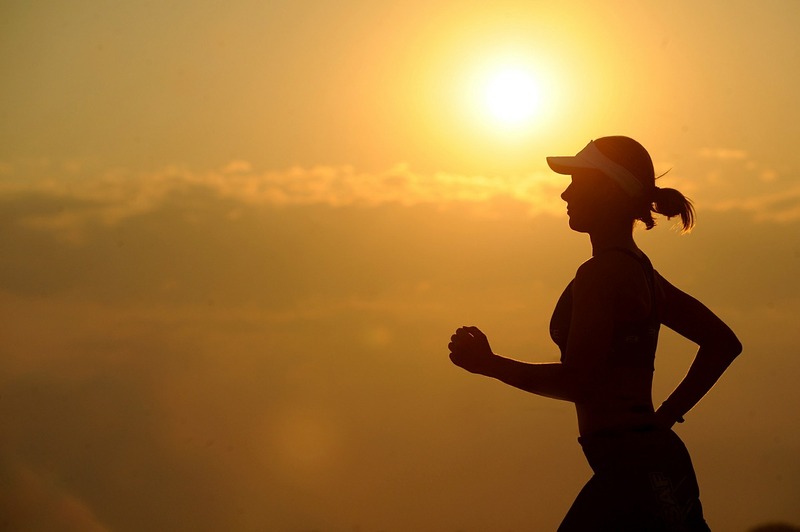 Engaging in more vigorous activity, such as running for 15 minutes, may be better to reduce the risk of depression than moderate activity as less time is required. What's next? To assess if these findings are replicated in people with a genetic predisposition to depression. This study provides new insight into the relationship between physical activity and depression, one of the most common and debilitating of human disorders. Whilst past studies have found associations in which those who were more physically active had reduced risk of depression, the ‘cause and effect’ relationship was not clear. This new study uses the power of modern genomics, in which statistical analyses of ‘genome-wide association studies’ across hundreds of thousands of individuals can be used to ask a simple question: Does physical activity reduce depression, or does depression reduce physical activity? The authors of this study have used their statistical approach to provide evidence for the former conclusion: That the average person who increases their levels of physical activity can reduce their risk of depression. Of course, the genetics of an individual will also contribute to their risk of depression, as all such brain disorders are a combination of genes and environment, or ‘nature and nurture’. ‘accelerometer’, a piece of wearable technology) on physical activity was able to identify this protective role in reducing the risk of depression, however subjective data (from self-reports of physical activity) did not reveal this significant effect of physical activity. We are all dealt a ‘genetic deck of cards’ at conception. We can’t change our genomes, but we can change our ‘enviromes’, our lifestyles and associated environmental exposures. This new study provides further evidence of the health benefits of physical activity, which is not only therapeutic for the body, but also for the closely interconnected brain and mind. Although these findings are not surprising, it is nice to see genetic evidence that physical activity is not only beneficial to the health of your body but also for the health of your mind. They did not find evidence that being depressed would affect physical activity per se, which may feel counterintuitive, especially as losing the interest in things one used to enjoy is one of the defined symptoms of depression. However, I suspect there may be a methodological explanation why evidence for causality was not observed in this direction, as the sample size was notably smaller at least for the objectively measured activity, and the type of population-level effects which this study was able to look at, may be relatively small. Depression affects more than one million Australians every year, and it clearly is one of the key public health problems we are facing. It is always encouraging to see evidence that improving our health and prevention of disease is not beyond our control, and the next challenge for us now is to find ways to encourage people to exercise more.